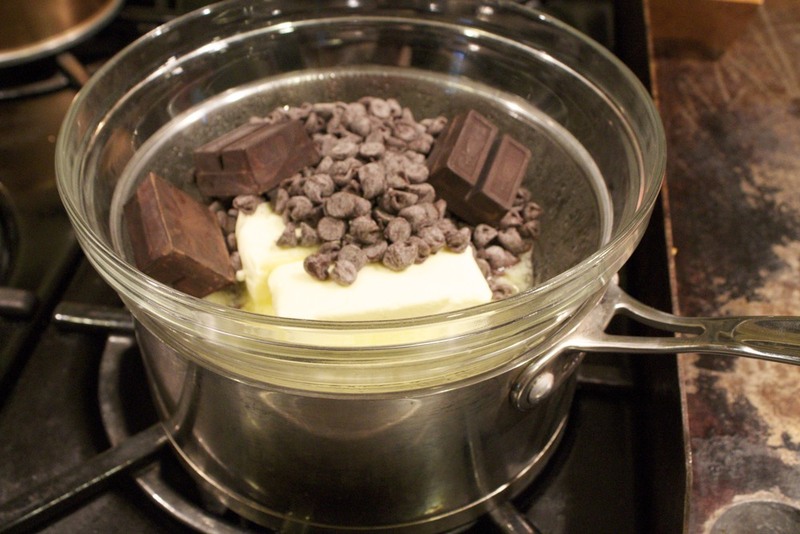 Start by melting the butter, semi-sweet chocolate chips, and unsweetened chocolate in a double boiler until melted. Remove the chocolate sauce from the heat and let it cool. In a separate bowl, mix by hand, the eggs, sugar, and vanilla until combined. In a third bowl, mix the flour, baking soda, and salt. Spray then line a 9x13 baking pan with parchment paper, leaving some of the paper over hanging the pan. This will make the brownies easier to remove when they're cooked. 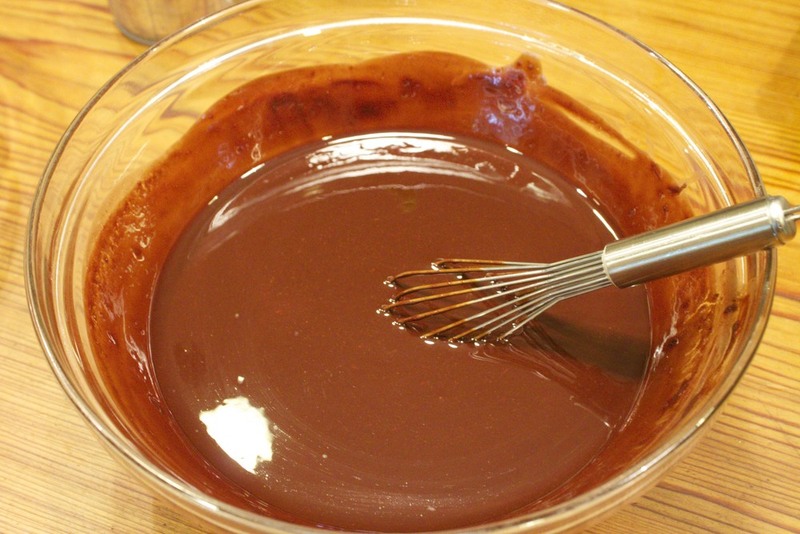 Once the chocolate sauce is completely cooled, add the egg and sugar mixture and stir until combined. Add the flour and mix until just combined. In a small bowl, combine the dark chocolate chips and toffee chips and sprinkle with about a tablespoon of flour and combine. Sprinkle the chips into the brownie mixture and stir until combined. Now it's time to add the caramel. The easiest way I found to do this is to put it in a zip top bag, cut the corner and squeeze the sauce out onto the brownie mixture. Just do a random pattern, making sure that there is enough caramel to get some in each brownie. Bake in a 350 degree oven for 40 minutes. Cool completely, remove from the pan by lifting out the parchment paper. I think it's much easier to cut these if they have been refrigerated first. Then when you are ready to serve them, let them come to room temperature. Posted in In The Kitchen and tagged with caramel, brownies, caramel toffee brownies.